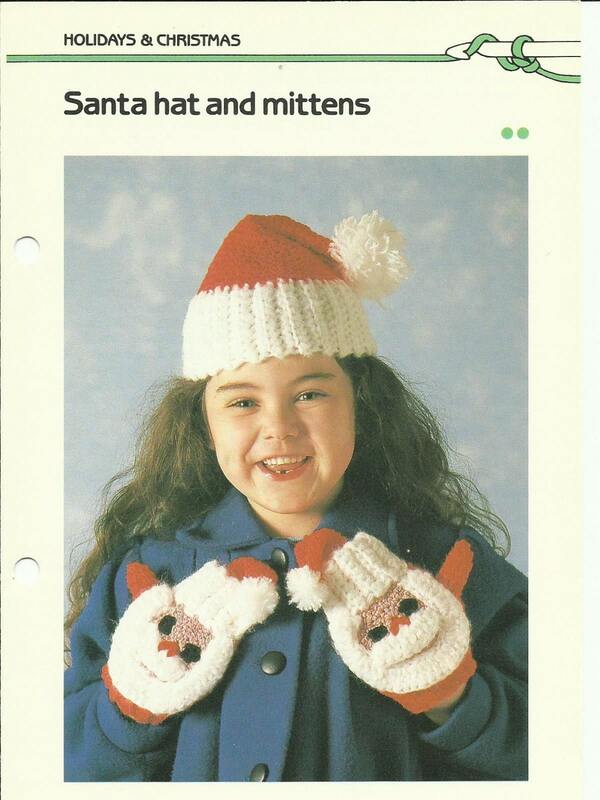 Children will love this Santa hat with matching Santa mittens! Holiday fun and nice and warm, too. Make some as a nice gift for the child in your life with this crochet pattern download! The pattern is scanned from Golden's Quick and Easy Crocheting (1985) and digitalized in FULL COLOR! It downloads instantly upon your purchase. Sweet!